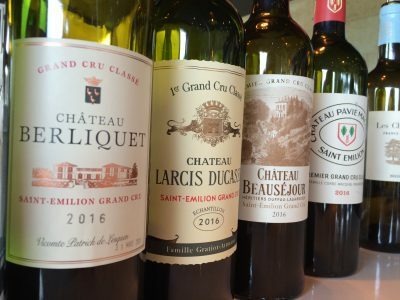 Many of the red wines tasted during my visit to Bordeaux this April had freshness, engaging aromas, juicy fruit flavours, reasonable depth and generally soft tannins. On this basis 2017 is surely a good vintage? Well yes. For the best properties we’re talking of wines with elements of 2014, 2012 and 2008, possibly a combination of all three in certain places. Things are more exciting for the whites [it looks to be a brilliant year] and Sauternes too has excelled again. But these generalisations hide a somewhat heterogeneous vintage. Last year 2015 was wildly heralded. The wines had beauty. The year produced wonderful wine on the right bank, but the picture was a little muddier on the left. Bordeaux 2016 brings greater homogeneity. Excellence is achieved at all levels and in all appellations for the reds. 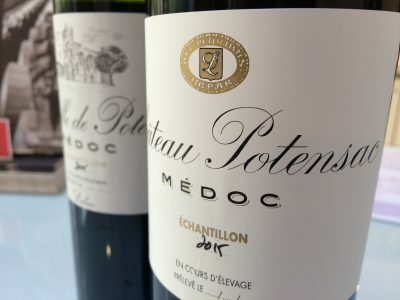 In the Médoc and the Haut-Médoc, the qualitative heights to which the wines soar are remarkable. In that sense it is undoubtedly a great Cabernet year. With the possible exception of 2014 in St Estèphe and 2015 in Margaux, 2016 should probably be seen as the best vintage on the left bank since 2010. But what is particularly exciting about 2016 is that in a great many cases it is a far easier vintage to understand than 2010 at this young stage. The alcohols are significantly lower and the tannins, which are up there with 2010 [and in a few cases even more considerable], seem much more succulent and textured. There is freshness too – and the aromatics are beautiful. The vintage also excels in St Emilion, Pomerol and in Pessac-Léognan. Cabernet Franc has done extremely well, but so too has Merlot. There are exceptions. Firstly the vines struggled with the drought on the lighter soils and in younger plots. Secondly, the hot and dry conditions were not always favourable to some of Bordeaux’s dry whites, the aromatic Sauvignon Blanc in particular. Yet for the reds I came away from many of the tastings during primeurs with the same excitement as I had back in 2009 and 2010. 2016 is potentially great and concludes a trilogy of fascinating vintages for the region. The joyride around Bordeaux 2016 culminated once again with some remarkable wines in the Haut-Médoc. 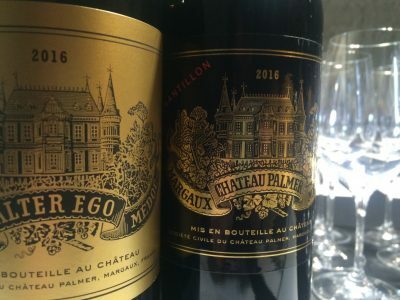 These were led by Château Palmer, which in 2016 has produced a Margaux to rival last year’s beauty. 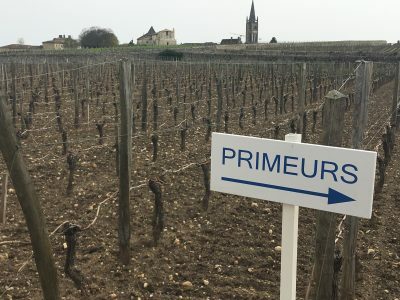 Overall you would have thought that the dry and hot conditions would have been difficult on some of the gravelly and lighter soils in both Margaux and in Pessac-Léognan, the two key appellations in which I dedicated a large part of my final day tasting. While I did notice a little more variability (some jam/raisin qualities in a couple, over-extraction in others] I was generally very impressed with a great number of wines. Once again the aromatics, the fruit tones and seductive qualities of the tannins were remarkable at the top end. I also explored the Haut-Médoc appellation in some detail. There are a great many wines of interest here in 2016 for the consumer. The vintage appears to rival 2009 and 2010. Stylistically it is almost a hypothetical blend of those two vintages [perhaps with some 2014 thrown in], but with generally more moderate alcohol levels. Time will tell as to 2016s precise place in the pantheon, but it’s obviously a very exciting vintage. Still, dark Brexit clouds mean that this vintage will obviously be released into an uncertain and possibly very different future. 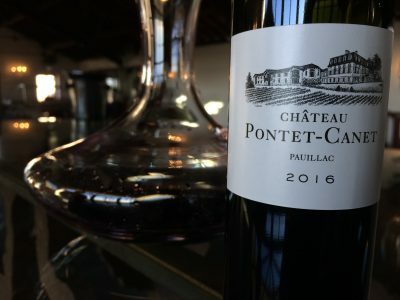 I spent a second day in St Emilion, starting at Château Pavie-Macquin to taste the range of wines that Nicolas Thienpont crafts as well as listening to a review of the climatological aspects of the vintage. It was an opportunity to hear Stéphane Derenoncourt discuss his thoughts on 2016 as a ‘miracle’ vintage. He sees it as the third in a trilogy of impressive vintages starting in 2014. Next up was Château Angélus to look at their stable of wines and discuss the vintage with Hubert de Boüard as well as examine the expanding range that he consults for. This gave me an opportunity to taste the first of a series of seriously impressive wines from the left bank in Pauillac and the Haut-Médoc. I then completed tastings at the Grand Cercle held at Château Montlabert. 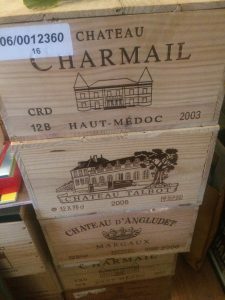 Here I assessed a dozen or so St Emilion Grand Cru Classés [generally exciting and homogeneous] as well as tasting more wines from the left bank appellations St Julien, Pauillac, Margaux and the Haut-Médoc. My overall feelings was how exciting this vintage is for both right and left bank, perhaps left especially. It was in the Médoc that the vintage showers of September 2015 were heaviest. Their effect has led to a degree of heterogeneity in the wines. Tasting many Médocs at the Cru Bourgeois event held at Château d’Arsac back in April I was struck by the variability. The rain arrived on the eve of the Merlot harvest which was unfortunate, in what was otherwise an excellent growing season with regard to quality. The top properties [Potensac, Goulée, Les Grands Chênes, La Tour de By and Loudenne for example] have made impressive wines; others were easy going and soft; quite a few felt a little dilute. Unlike 2014, which was a pretty safe bet in my opinion up in the Médoc, 2015 seems a more uneven prospect. There are some good wines, but the picture is complex.